Here you can take a look inside the book. Homogeneous and, more generally, quasihomogeneous distributions represent an important subclass of L. Schwartz's distributions. In this book, the meromorphic dependence of these on the order of homogeneity and on further parameters is studied. 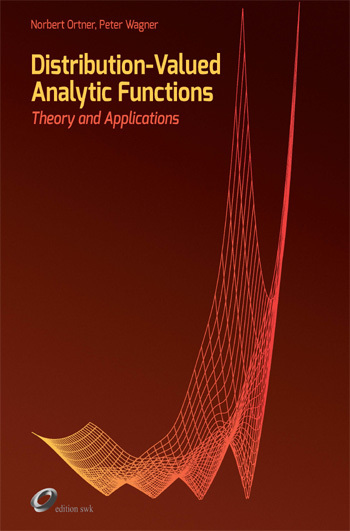 The analytic continuation, the residues and the finite parts of these distribution-valued functions are investigated in some detail. This research was initiated by Marcel Riesz in his seminal article in Acta Mathematica in 1949. It leads to the so-called elliptic and hyperbolic M. Riesz kernels referring to the Laplace and the wave operator. The distributional formulation goes back to J. Dieudonné and J. Horváth. The analytic continuation of these distribution-valued functions yields convolution groups and fundamental solutions of the corresponding linear partial differential operators with constant coefficients. The convolvability and the convolution of distributions and, in particular, of quasihomogeneous distributions are investigated systematically. In contrast to most textbooks on distribution theory, the general concept of convolution of distributions is employed. It was defined by L. Schwartz and further analyzed by R. Shiraishi and J. Horváth. The authors Norbert Ortner (* 1945, Vorarlberg) and Peter Wagner (* 1956, Tirol) are well-known researchers in the fields of Distribution Theory and Partial Differential Equations. The latter is professor for mathematics at the Technical Faculty, the first one was professor for mathematics at the Faculty of Mathematics, Computer Science and Physics of the Innsbruck University.